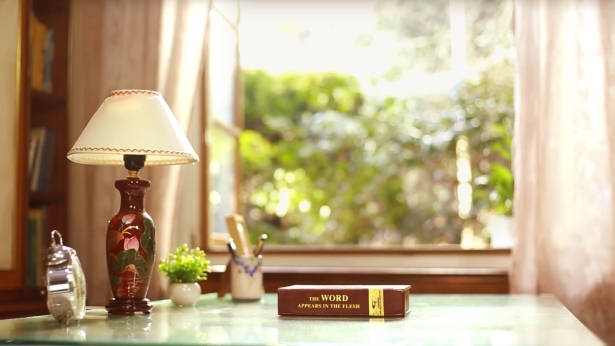 In December of 2015, my mother suggested I attend a meeting with the brothers and sisters and said, “The work of God in the last days will end right away, and if you don’t attend gatherings and don’t fellowship about the word of God together with the brothers and sisters, it will be very difficult to understand the truth if you just read the word of God by yourself. It won’t be easy to receive salvation.” At the time I thought my mother was just saying that without thinking about it, so I just agreed with her perfunctorily, but I didn’t think that she had actually contacted the church and gotten the sisters to convene a gathering with me online. When the sisters set the meeting time with me, I was really reluctant to do so. I thought that if I had to attend a gathering every single week it would eat into my free time, and there would be less time for me to go out eating, drinking, and having fun with my friends. 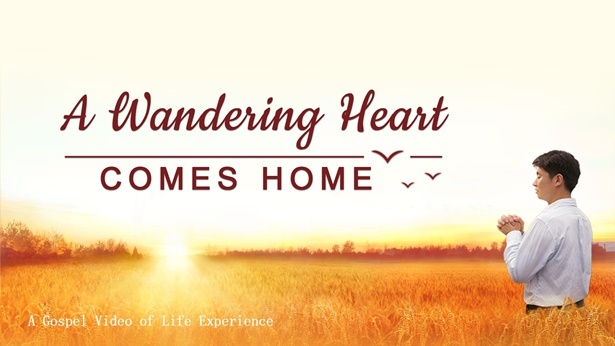 In my heart I didn’t want to attend the gathering, and just wanted to keep my current situation the same: When something happened to me, I would pray to God, and occasionally experience God’s protection, and it would be sufficient to have God in my heart. But I was too embarrassed to directly refuse the sisters, so all I could do was reluctantly agree. But when the time of the gathering arrived, I was always trying to come up with an excuse to get out of it. Even though I attended the gathering, my heart did not become at peace, and when I prayed to God all I could do was utter some words of praise or ask God to help me have success on an exam or things like that. When fellowshiping about the word of God, I was really afraid when it would be my turn, because I had no light in my heart. I didn’t know what I should fellowship about, and all I could do was look for what I thought were some key passages and read them. Then I would explain a little about the literal meaning, like it was doing a reading comprehension. Because I didn’t have a proper attitude in dealing with the word of God and I didn’t pay careful attention in the gathering, I didn’t have any enlightenment and illumination by the Holy Spirit—I didn’t have any rewards. The more it went on like this, the more boring I thought it was. I thought: Going out to have fun with my classmates is so much better than this. Especially when I saw that I had gotten a bunch of text messages on my phone, I just couldn’t help myself from thinking about going out with my classmates and friends. I then mentioned to my mother that I didn’t want to attend the gathering, and it would be fine if I just read the word of God on my own. But my mother said, “If you don’t attend gatherings, will you consciously read the word of God? The word of God isn’t like that in the textbooks you read in school. It’s not something you can just understand by getting the literal meaning of the words; you have to fellowship about it by attending gatherings with brothers and sisters and share experiences and knowledge with each other. Only that way can you gradually understand it clearly.” I had never thought that attending gatherings was so important. 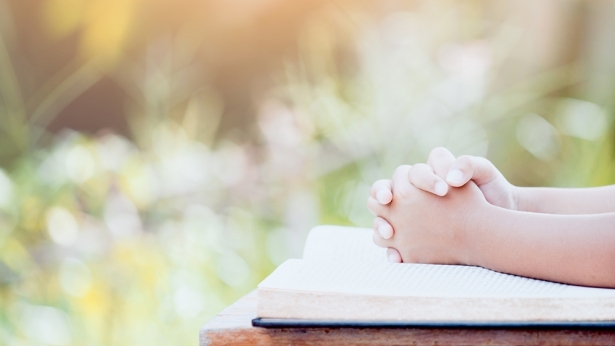 Since it was able to give me more of an opportunity to read the word of God, and also to allow me to understand the truth even more, I wasn’t able to say anything else. But since I was only interested in having a good time, I would not forsake my flesh and put the truth into practice even though I understood a little bit of it. So afterward, every time I attended a gathering, I would still go through the motions of fellowshiping about the word of God then start to play with my phone and look at some gossip news, check out the newest recent TV series, and sometimes chat with my friends. In this way, every time I attended a gathering I continued to get nothing out of it. One time my mother suddenly asked me, “How have you been feeling recently about attending gatherings, do you understand what you hear? You absolutely can’t play with your phone during gatherings! Even though you attend gatherings online, and the sisters can’t see what you’re doing, God can see your words and actions all the time. 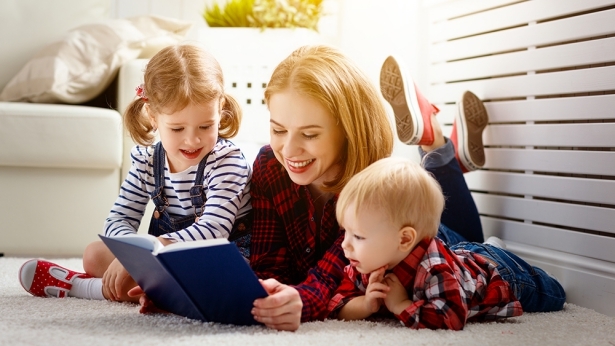 If you never pay attention, God won’t ever enlighten you!” Right after that, my mother read to me a passage from the word of God: “Because in order to walk in God’s way, we cannot let go of anything to do with ourselves, or anything that happens around us, even the little things. No matter whether we think we should pay attention to it or not, as long as any matter is facing us we should not let it go. All of it should be viewed as God’s test for us. How’s this kind of attitude? If you have this kind of attitude, then it confirms one fact: Your heart fears God, and your heart is willing to shun evil. 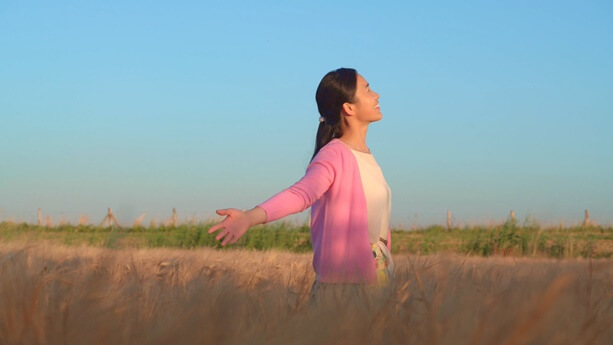 If you have this desire to satisfy God, then what you put into practice isn’t far from the standard of fearing God and shunning evil” (“How to Know God’s Disposition and the Result of His Work” in The Word Appears in the Flesh). My mother said: “Even though you think that taking a peek at something on your phone while attending a gathering isn’t very serious, this is connected to your attitude of how you treat attending gatherings as well as God. God is at our side watching our each and every move, and observing every thought we have. Have you ever thought why you always want to play with your phone during gatherings? Actually, the tricks of Satan can be found in this. 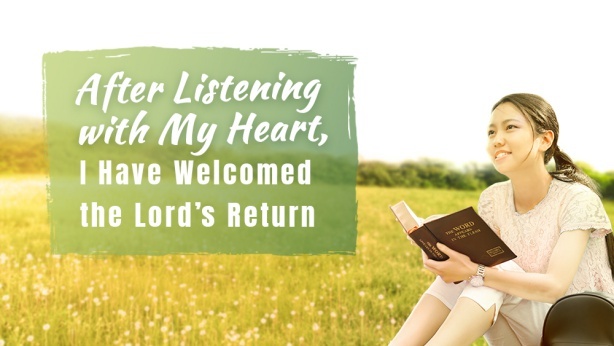 It is God’s will that we understand more about the truth through attending gatherings, mature quickly in our lives, and are finally able to receive God’s salvation. 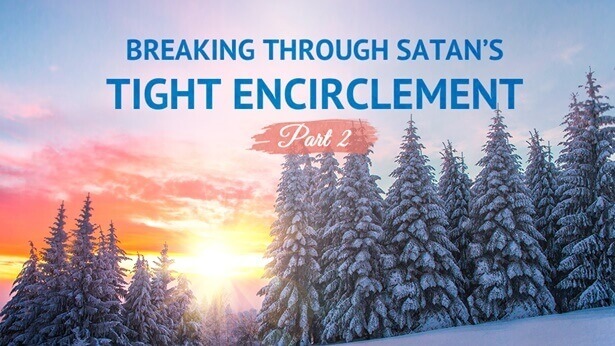 But in order to make you shun God and not listen to God’s word, Satan uses the things you like to entice you, to make you unable to be at peace in your heart in the presence of God, and ultimately unable to obtain anything. 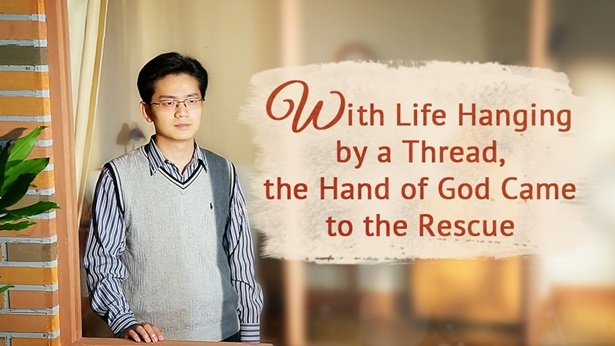 When God’s work is finished, your life will be forfeited.” Hearing my mother’s words, I thought to myself: It turns out that there is some truth to be sought in something as small as this, and it even involves a person’s attitude toward God. I was a little ashamed to have been so directly nailed by what my mother said about my thoughts. Before, I always thought that in any case I was just attending gatherings online, and there was no one watching, so I started to think up ideas to satisfy my own preferences. Now I finally knew that God was seeing all of this. Thinking about this, I had a sense of guilt, and was a little disturbed—in the recent several gatherings I was always playing with my phone, and God saw it all. I was full of remorse, and I hurried to acknowledge my mistake in prayer to God. I decided that after this I wouldn’t ever play with my phone again in gatherings and would try hard in pondering the word of God. I would conscientiously listen to what the brothers and sisters fellowshiped about. In the several gatherings I attended after that, I turned my phone off and left it somewhere far away from me. I focused my attention to listening to what the sisters fellowshiped about. Even though sometimes my mind would still wander and I would be absent-minded when listening, I gained a lot from attending gatherings. But because my desire to just have fun was still strong, after a short while my hands were itching again to play with my phone while in a gathering. I thought: I’ll just take a peek at my phone, I promise. I quickly picked up my phone to take a look, with the result that I was hopeless when it came to looking at my phone. Very quickly, I went back to my old ways, and even sometimes put the computer I was using for the gatherings to one side. Ignoring everything I would take my phone and watch TV shows. This attitude I had of deliberately doing wrong led to me not receiving any of the work of the Holy Spirit. Although we were holding a gathering, I simply had no idea what the sisters were fellowshiping about the whole time. When it came time for me to fellowship, I had no idea what I should say. Gradually, my thoughts of unwillingness to attend gatherings sprouted back up again, but I was too embarrassed to tell my mother. I was only able to continue to halfheartedly attend. This went on until one time at a gathering when I was playing with my phone, I noticed a new TV series that had just come out that I wanted to rush to see, but I had to download some software to watch it. I hesitated a bit, but still downloaded the software. Once I had finished the download, I went to open the program, and my phone’s screen suddenly went black. Then it showed that it wanted my password, but how could I know what the password was? When I went online to search for what reason could have led to my screen going black, I realized that I had been tricked, and someone had taken control of my phone and it was now unusable. I was extremely regretful, and at the same time my mind arrived at the idea of God’s discipline. I thought: God observes the deepest parts of people’s hearts, and every single one of my actions was in full view of God. I deliberately did wrong, and this was God’s discipline being visited on me! After I thought about it I knew I really couldn’t play with my phone in gatherings. When I told my mother about this, my mother read to me a passage from the word of God: “What’s a big matter? What’s a small matter? 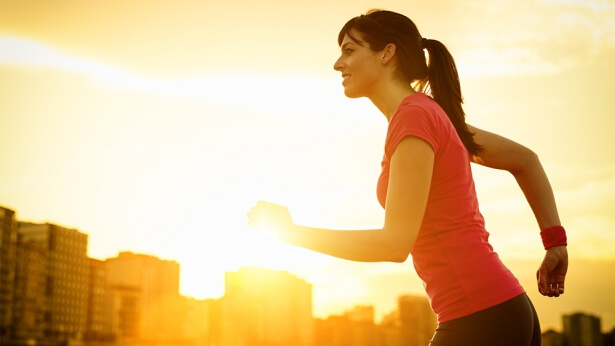 All matters that involve walking in God’s way aren’t divided into big or small ones. Can you accept that? (We can accept it.) In terms of everyday matters, there are some which people view as very big and significant, and others that are viewed as minor trifles. People often view these big matters as being the very important ones, and they consider them to be sent by God. However, over the course of these big matters playing out, owing to the immature stature of man, and owing to man’s poor caliber, man is often not up to God’s intentions, cannot obtain any revelations, and cannot acquire any actual knowledge that is of value. So far as the small matters are concerned, these are simply overlooked by man, left to slip away little by little. Thus, they have lost many opportunities to be examined before God, to be tested by Him. Should you always overlook the people, things, and matters, and circumstances that God arranges for you, what will this mean? It means that every day, even every moment, you’re always renouncing God’s perfection of you, and God’s leadership. Whenever God arranges a circumstance for you, He is watching in secret, looking upon your heart, looking upon your thoughts and considerations, looking at how you think, looking at how you will act. If you are a careless person—a person who has never been serious about God’s way, God’s word, or the truth—then you won’t be mindful, you won’t pay attention to that which God wants to complete, and that which God demands of you when He arranges circumstances for you. You also won’t know how the people, things, and matters that you encounter relate to the truth or God’s intentions. After you face repeated circumstances and repeated trials like this, with God not seeing any achievements to your name, how will God proceed? … there’s only one attitude that God has toward these people. What attitude is this? 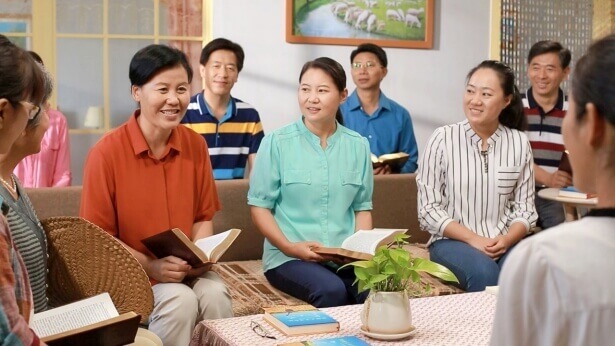 God spurns this kind of person from the bottom of His heart” (“How to Know God’s Disposition and the Result of His Work” in The Word Appears in the Flesh). Reading the word of God, I thought: This time, I have genuinely experienced the discipline of God for myself, and I also saw that God is truly by my side watching my every deed. I always thought that I could deceive the brothers and sisters with my corrupt actions and thoughts. But I could never escape the observation of God. Now, I made deliberate wrong actions, and did not read the word of God or fellowship about the truth carefully during gatherings, but just played with my phone and watched TV shows. I already became detested by God, and not only someone took control of my phone, but I also didn’t get anything at all out of fellowshiping about the truth during gatherings. I wasted my time, and blocked myself from entry into life. I also thought: Before, I always wanted to use my own effort to stop myself from playing with my phone during gatherings, but the result has been that I haven’t been able to overcome the enticement of Satan. I’ve seen that by not relying on God but only on my own strength, it’s very difficult to put the truth into practice and attain a state of fearing God and shunning evil. I think my own stature is too meager. In the future I would just pray to and rely on God, and only that way would I be able to truly attain a state of fearing God and shunning evil, would I bring peace to my heart in gatherings. In the following months, I used my classmate’s phone. Because it was someone else’s phone, I didn’t dare to randomly download whatever programs I felt like. So every time I was in a gathering I would sit contentedly in my seat listening to what the sisters fellowshiped about. Sometimes I would see friends sending me one message after another, my curiosity would start to get the better of me and I really wanted to take a look at what my friends had sent me. But I then thought about God watching my every move, “I am in a gathering at the moment, and if I do not have a devout and reverent attitude it may make God detest me.” So every time when I stretched my hand out toward my phone, I would quickly pull it back. In my heart I would pray to God: “God! Please protect my heart so that it can become tranquil and not be disturbed by Satan.” When I prayed to God and made my heart tranquil, and would conscientiously listen to what the sisters fellowshiped about and shared their experience and knowledge of the word of God, I found that throughout the entire gathering I gained quite a lot of enlightenment and light from the word of God. It allowed me to gain some knowledge about God and God’s work. Before, I never wanted to go to gatherings, and I did make excuses of being busy with schoolwork to avoid attending gatherings. Now, I felt that it was necessary for me to forsake my flesh, and I should always find the time to attend gatherings. Anyway, studying wasn’t normally too much pressure or too much work, and I would often spend my free time playing with my phone and watching TV series. Actually, I was totally able to spend more time participating in gatherings, and this was very beneficial to me in understanding the truth. So I proposed to participate in gatherings two times a week. When I was genuinely carrying it out like this, I understood more and more of the truth, and the knowledge I got of the word of God was much more than I had before. Sometimes I would carry my phone on me and I would still sneak a peek at it, but I would immediately respond by remembering that I had to forsake my flesh and was able to throw my phone onto the bed and continue with the meeting. This is because I knew that God was secretly watching my every move, and I should no longer follow my flesh and had to have a heart that reveres God. Several months passed, and I really felt like I had gained a lot, understood much of the truth, and made a lot of progress in my life. By the sisters sharing their testimony of experiencing the word of God, I also gradually learned to experience God’s work in my life. The experience I remember most deeply was during a math test, when I copied another student’s answers so I could get a good result. What happened was that I was questioned by the school about whether I had a problem with academic integrity, and this problem was so severe that it would affect me getting into university. Just when I had no idea what I should do, during a gathering a sister shared with me the word of God and fellowshiped about God’s will based on my situation. 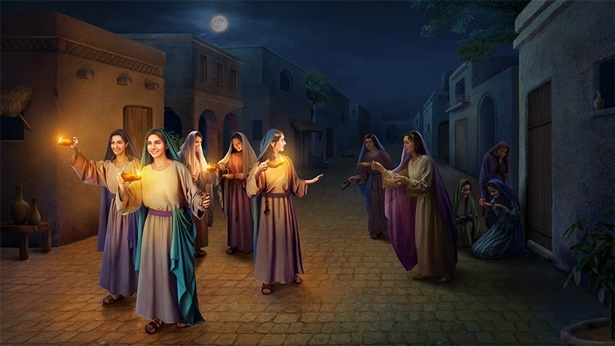 She said the people God likes are honest, and that only honest people can receive God’s salvation. When I was practicing being an honest person in accordance with the word of God, I saw God’s conduct, and not only did I get an opportunity to re-take the test, but was also rewarded with getting straight A during that semester. Experiences like that were hardly limited to just that once. … Now, I like attending gatherings more and more, and I like fellowshiping about the word of God together with the sisters and talking about my own experiences of carrying out the word of God. 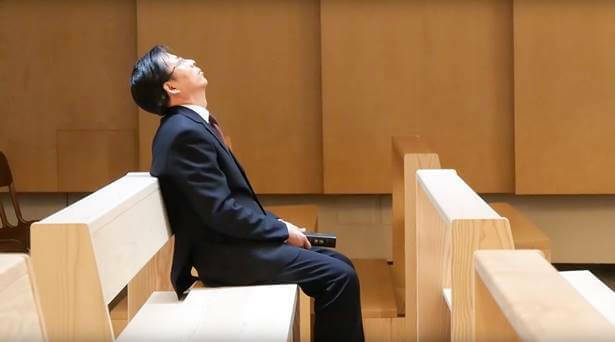 Sometimes through the enlightenment of the Holy Spirit, when I’m reading the word of God and pondering it in connection with my own experience, my spirit is very moved and I was really overcome with emotion: How good it is to believe in God! Through experience, I went from being afraid to attend gatherings to enjoying it, and this is an outcome I was led to reach by the word of God! Thinking about it carefully, even though because I was attending gatherings I spent less time going out with my classmates to eat, drink, have fun, and get crazy, what I gained was God’s provision for my life. It was God’s word that allowed me to understand that being an honest person would obtain God’s blessing, and when I was carrying out the truth I felt peace and joy in my spirit. By playing with my phone and following my fleshly preferences, I could be harmed and corrupted by Satan, and it could make me get further and further from God and also cause God to detest me. Gatherings and fellowshiping about the truth gradually allowed me to learn that being a person who fears God and shuns evil is something that God praises, and is also the form of a genuine person that I should pursue and live out. Through God’s guidance, I gained so much. Thanks be to Almighty God! When I went abroad to work, I would take on any filthy, tiring, or dangerous job, just to earn some more money, make people look highly upon me, and so I wouldn’t suffer the humiliation of poverty…I relied on myself to change my destiny, and I strove to escape from God’s orchestration and arrangement destined in my life. Wasn’t it the road to ruin that I was following? If it weren’t for God’s salvation, or God watching over and protecting me, I’m afraid that my meager life would have long ago been snatched away by Satan.